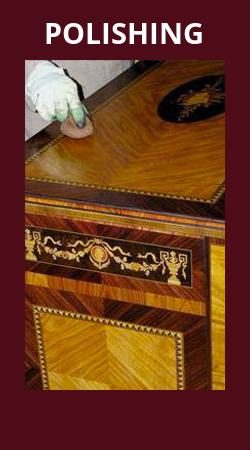 Workmanship is executed by means of artisan methods, using first class highly valuable wood, and adopting techniques which have been passed on from generation to generation. 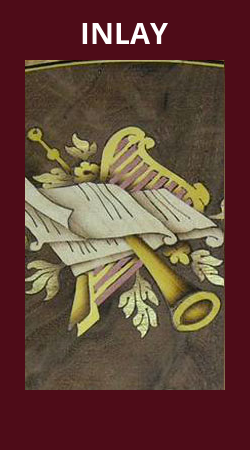 The choose of materials, the draw of the inlay, the use of essences with different qualities of fibre, colours and grain, the technique of using a particular dyeing only for some essences, particular shadings made by putting some little pieces of wood in a red-hot sand, give to the surface of the inlay an unusual colour, like gold, that change with the colour of the wood. 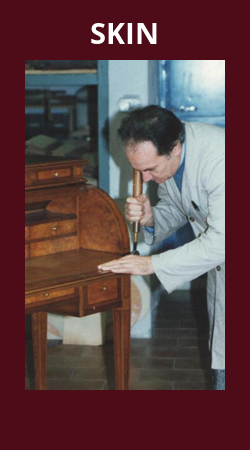 Each piece of furniture is accurately reproduced in every detail, and in all the stages of production, right up to the polishing for which we use both shellac and beeswax. 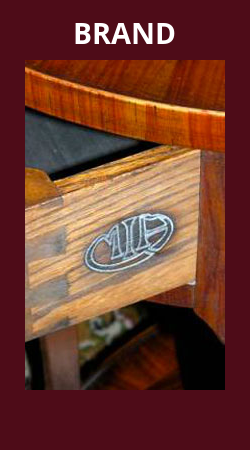 The furnitures from the M.I.A. collections are ideal solutions also for modern sets. You will turn your home into a sort of "Royal Palace" where old meets new, blending together in a special harmony. A perfect union between past and present, keeping in mind one main theme: the elegance. The love for our work and the refinement of the realisation of our furniture make every product a masterpiece full of joy and passion that seduces who owns it.